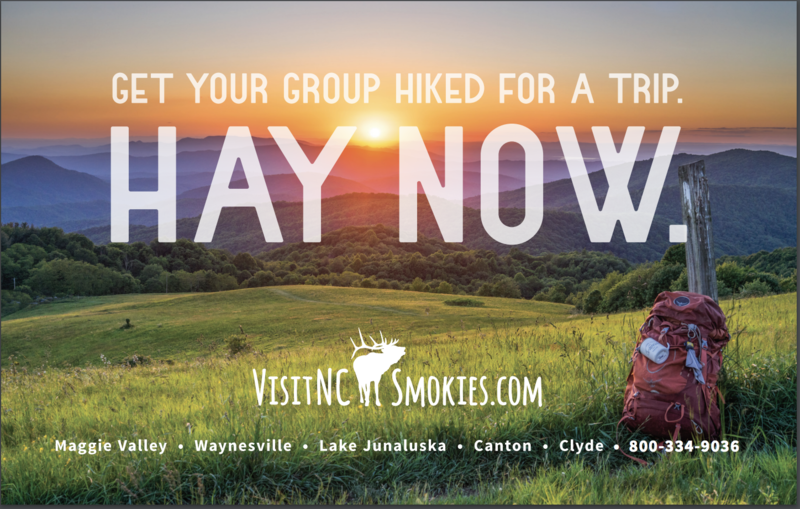 Utilize Haywood County’s numerous event and meeting venues to drive group bookings that will generate new room nights and increased visitor spending across the entire county. Seek out opportunities to generate county-wide economic impact through meetings and events that facilitate activity in multiple communities. Attend industry trade shows, networking events, and make sales calls to travel planners, AAA offices, and motor coach companies. To turn Day Trip groups into overnight group stays by having them experience our attractions and entice them to return for more fun for multiple days. Download the Group Tour Planner here! Group Tour Itineraries – These are actual itineraries for groups who are visiting the area. Their complete schedule is available to download. Partners are always welcome to join us at any or all the stops.